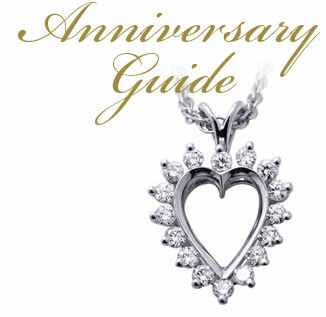 Looking for that special gift to celebrate your anniversary? Whether it's your first or your golden anniversary, we've got great gift ideas for you. Shown here is a list of the "traditional" category items, BUT we've thrown in a few of our own romantic and timely ideas from our exquisite Danforth Diamond jewelry collection! These ideas will make ANY anniversary, a celebration to CHERISH and REMEMBER!